How would you feel if you found a large pot of Roman coins while out metal detecting, that’s exaxctly what Laurence found with his XP Deus while detecting in Devon. 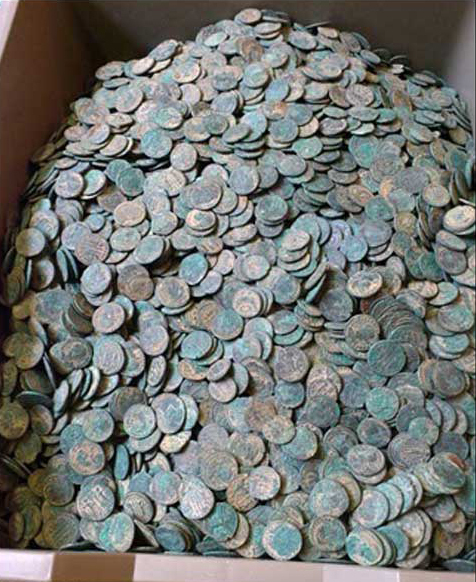 Laurence 51, made the discovery as he metal detected land near Seaton, in East Devon – when he found the hoard he was concerned someone would steal it, so he camped out for three nights while archaeologists excavated the site. While out detecting with his XP Deus Laurence got a large signal, he thought it was iron but decided to dig anyway. As he dug down he found three iron ingots, when he lifted them Roman coins were stuck to the underside. Read the full article on the XP Blog.